Bacolod Pasalubong products that you should bring home and where to buy them when you visit Bacolod. Freshly cooked Bailon’s piaya in their kitchen. Bacolod is known as “sugar land”, where the land grows the sweetest sugar cane to produce the best quality sugar and where the people have the sweetest smiles. It is no wonder then that Bacolod is known as “The City of Smiles” and that the place is filled with cafes with some of the best and sweetest desserts in the country. We have a hotel called Sugarland and we have a Bacolod pasalubong store called Sugarlandia. We are located in the province of Negros Occidental, Philippines. “Pasalubong is the Filipino tradition of travelers bringing gifts from their destination to people back home. Pasalubong can be any gift or souvenir brought for family or friends after being away for a period of time.” Or even just for a vacation. 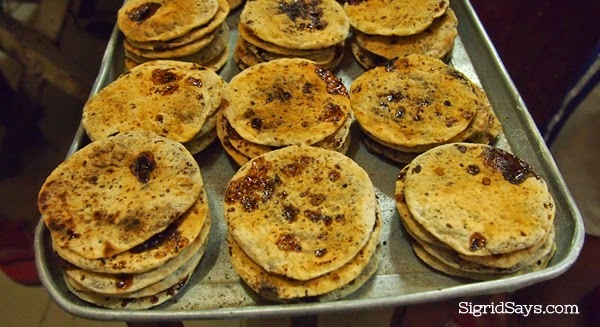 Perhaps the most famous Bacolod pasalubong item that the city is known for is the piaya. It is a flat pastry filled with–what else–sugar, but a different kind called the muscovado. But you would be happy to know that there are many things that you can bring home, ranging from food, decors, t-shirts, fashion items, even jewelry. Some of the food items need to be consumed within a few days but others can be stored for quite some time. So read on and the next time you come to Bacolod, you know what Bacolod pasalubong to buy and where to get them. 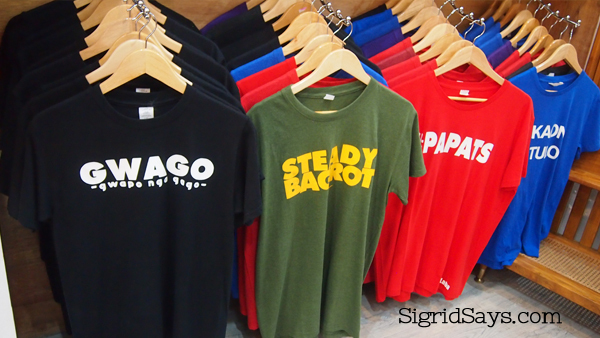 Note: If you have a Bacolod pasalubong shop that I might have missed, please drop me an email at sigroid75@gmail.com. Bailon Foods specializes in homemade Ilonggo delicacies since the 1960s. I believe they have been in the same place ever since. Their specialties are their fresh lumpia, empanada, and of course, piaya. Their piaya is perhaps the most expensive here in Bacolod today, but theirs is the only one that uses pure muscovado sugar, which is why they produce crispy thin piaya coated with crystalline sugar in the inside. When you go to their store at San Juan-San Sebastian Sts., don’t miss snacking on their fresh lumpia and empanada. If you like their empanada, you would be happy to know that they have frozen versions of these that you can bring home and fry when you want to eat them. Bailon Food products are also available at SM Supermarket and Pendy’s. Bailon Foods humble store along San Juan-San Sebastian St.
Another old player in the Bacolod pasalubong business is Bongbong’s. And from its name, you could straight away guess that these two products are their specialties. But they have so many products with really nice packaging that you would be happy to bring home to your friends and loved ones back home. The Bongbong’s store at 14th-Lacson St. is open until 11pm. It has a spacious interior, parking space, snack areas, and comfortable rest rooms. 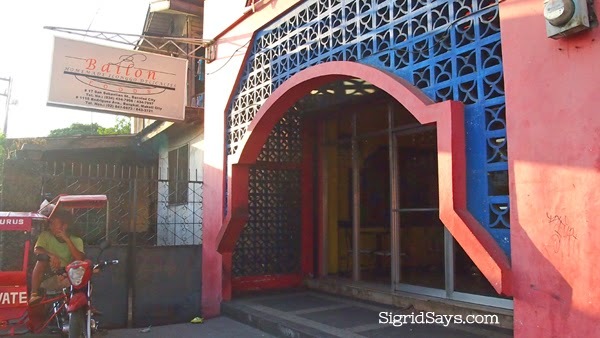 You would also be happy to know that they have many branches all over the city, including two at the Bacolod-Silay airport and one at 14th-Lacson Streets that is open until 11pm every day. Bongbong’s Piaya (plain) in packs of 10. There are other flavors available. Barquillos comes in small, medium, and large sizes. They differ in thickness, too. This is one is large, about 10 inches in length and the girth is about an inch. It is pretty thick. This is bayi-bayi–another glutinous rice product that can last up to 3 days without refrigeration. This is kalamay-hati of Bacolod sold at Bongbong’s but is made by a different supplier. Can last up to 5 days without refrigeration. It is made of ground glutinous rice, coconut milk, and brown sugar. It is sticky and pasty. Merzci started as a bakeshop in the 90s then they just kept growing. They added a snack bar, then a water station, and eventually a Bacolod pasalubong center to their business chain. Merzci Pasalubong’s beautiful store at the BREDCO port with their tour bus in the foreground. They used to be known as Merci. Photo from Merzci. Published with permission. But they were aggressive and the company was the one responsible for amping the Bacolod pasalubong industry by putting up modern, air conditioned stores and by improving their products’ shelf life and packaging. 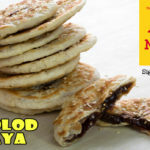 Merzci has many Bacolod pasalubong centers in the city selling their very own biscocho, piaya, tarts, butterscotch, napoleones, and many more baked products. I personally love their ube piaya. 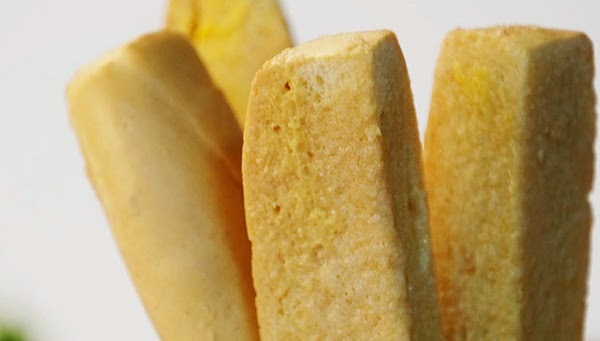 Merzci is known for their creamy and crunchy biscocho. Available in small and big packs. I have such a sweet tooth. But they also display products of other local producers that you might find interesting. And oh, they also have two tour buses available for rent for tours around the province of Negros Occidental. If you pass by their store, don’t forget to try their chicken siopao, too. A variant of Merzci barquillos is the barquiron. The hollow center is filled with polvoron, thus the name, and is individually wrapped. They are sold in packs. 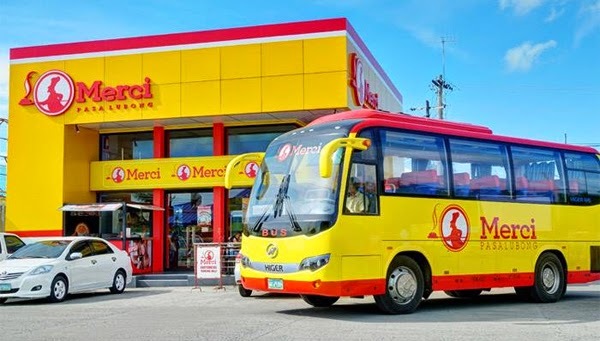 By the way, if you are a tourist with a recent plane, bus, or ferry ticket or a boarding pass, Merzci will give you a 10% discount off your Bacolod pasalubong purchases. 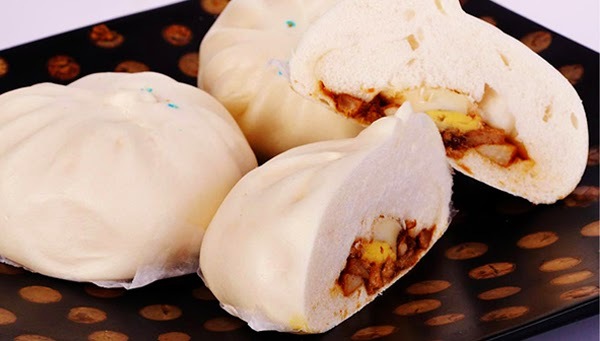 Don’t forget to try the famous Merzci chicken siopao when you visit one of their many stores. 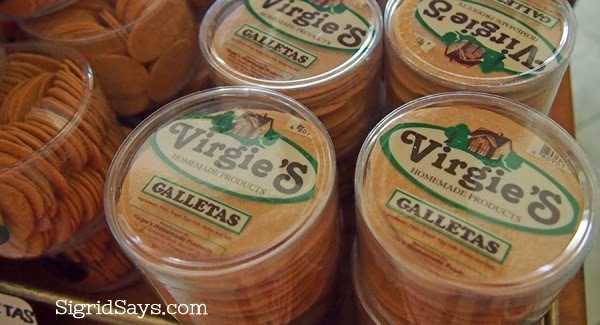 Virgie’s is another specialty food store selling quality homemade Ilonggo delicacies. They have among the higher end Bacolod pasalubong products in the market today. 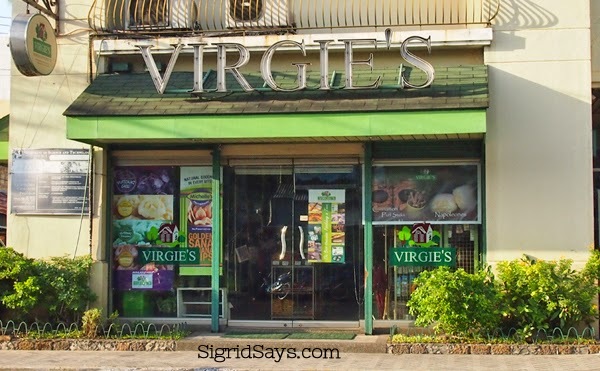 The Virgie’s store along San Sebastian St. 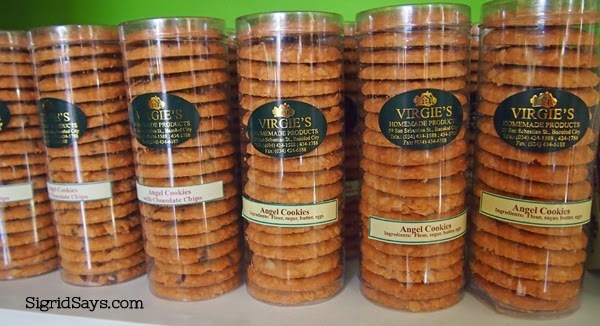 The products of Virgie’s are a bit pricier than Bongbong’s and Merzci and they only have one store, but they are being sought by visitors and locals because of the quality and taste of their Bacolod pasalubong offerings. Their tarts in beautiful boxes that would surely bring a smile to your loved ones back home. From left, caramel tart, pastillas de manga, and cheese tart. Special mention would be their galletas, napoleones, tarts, butterscotch, and mango bars. You may also want to try their yummy angel cookies, which are made from the “retazos” of the communion bread. Their cheese muffins are by far the best for me. Check out their store at San Sebastian Street (near the Lacson corner), Bacolod City. This colorful display rack at Virgie’s has some of the tastiest goodies here in Bacolod. Try their butterscotch and mango chews. The Virgie’s napoleones is the most expensive box sold among the different pasalubong stores. Find out why. Looking for something unique? These angel cookies are love. I know we are sugarlandia here in Bacolod, but for those who cannot have sugar for health reasons, Quan has some sugar-free pasalubong items. They use a natural sweetener so you can enjoy the goodness of Bacolod pasalubong without the sugar. 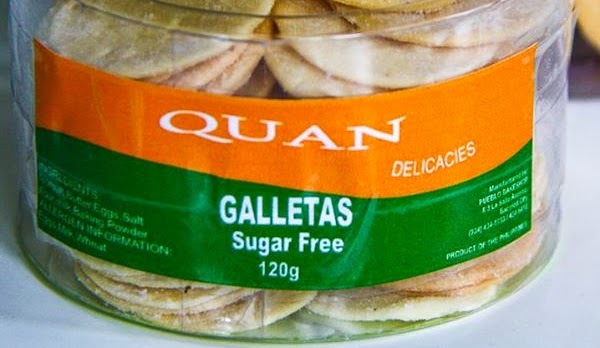 A plastic tub of Quan sugar-free galletas. See I told you? 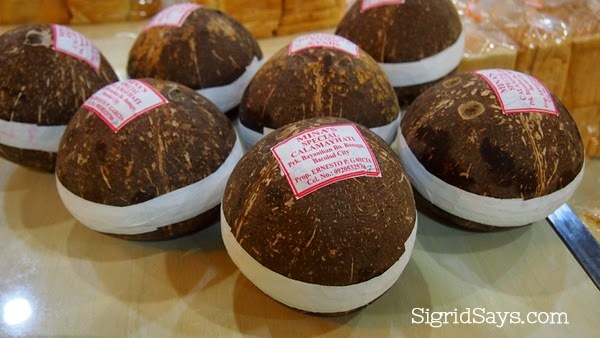 Sugar-free Bacolod pasalubong is possible. haha Photos by Jojo Vito. Published with permission. And while you are visiting their stores, which are also everywhere, sample the native Ilonggo delicacies that they offer. These are the only ones you can get in the restaurant. Your next best bet would be the street vendor already. You should also check out their organic salad dressings made from natural ingredients grown from the owner’s farm. They have several variants available. 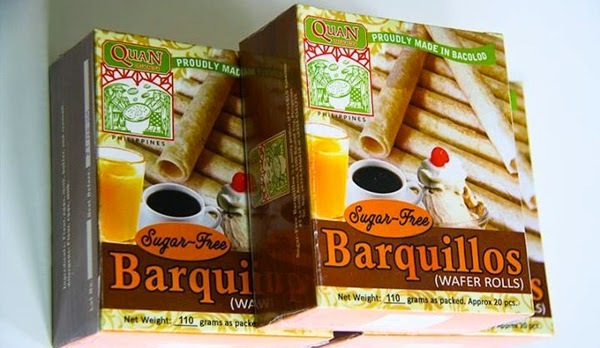 Quan sugar-free barquillos. Check their stores for more products. Photos by Jojo Vito. Published with permission. Quan branches are at La Salle Avenue, B.S. Aquino Drive (beside Doctor’s Hospital), Robinsons Supermarket, Gaisano City, Lopue’s East, and The District North Point. Some of the organic salad dressings at Quan. Photos by Jojo Vito. Published with permission. Ading’s Gourmet Tuyo glamorized version of the lowly tuyo that’s aimed for the international market. 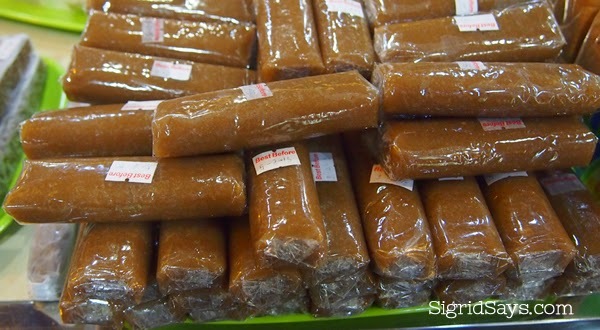 It is a unique and delicious Bacolod pasalubong item because it’s not part of the sweet array of food items that the city is know for. It is savory, stays long, can be eaten by itself or used as a dip, condiment, or even pasta sauce. 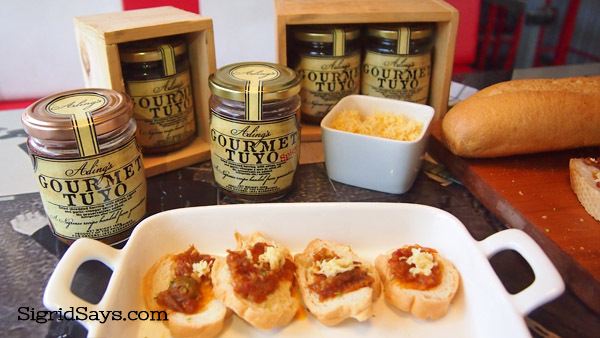 You may buy Ading’s Gourmet Tuyo at the Negros Showroom at Robinsons Place Bacolod City Walk. If you are a traveler to Bacolod, try the Ading’s Gourmet Tuyo as a Bacolod pasalubong alternative. 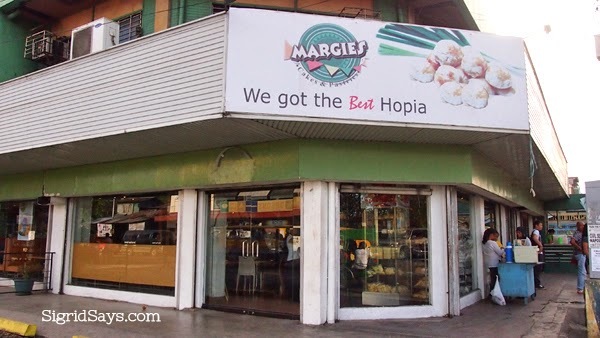 Margie’s has long been in the Bacolod pasalubong business and although they also have an extensive line of Bacolod delicacies, what made them famous and got them landed a feature on Rated K of Ms. Korina Sanchez is their hopia. Yep, hopia is their signature pasalubong item. They are open daily but only until 6pm. 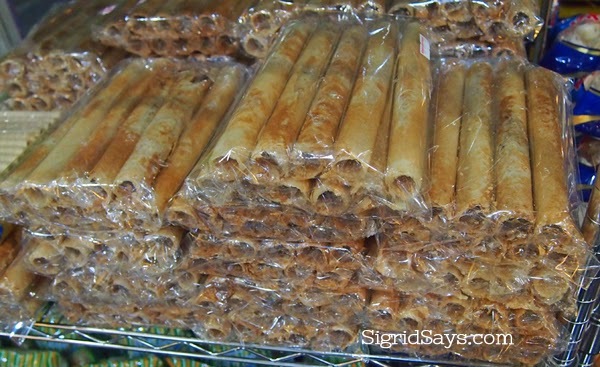 Margie’s famous hopia sebuyas dahon. Margie’s store at Burgos-Lopez Jaena Sts. 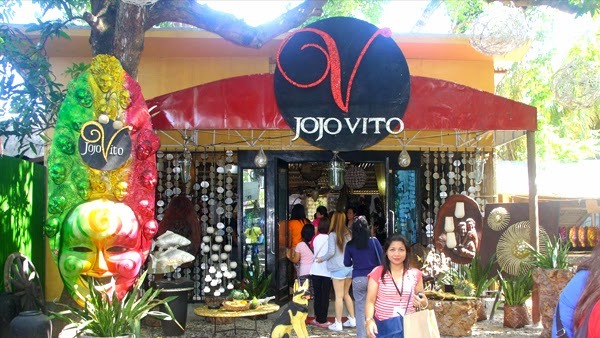 Jojo Vito Designs Gallery is like an art wonderland. Photo by Jojo Vito. 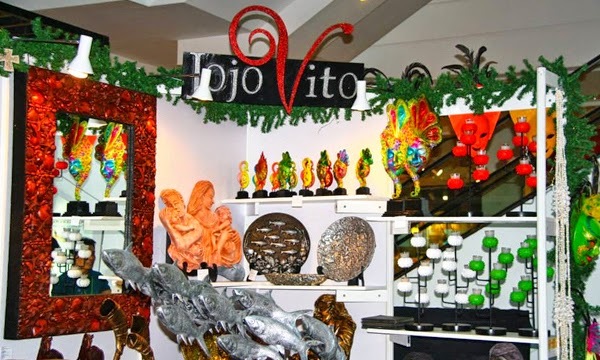 Published with permission.Jojo Vito Designs Gallery is open from Monday to Saturday, 8:30am-5pm. Special arrangements may be made for big groups who would like to schedule a visit to the gallery during Sundays. For appointments, please call (034) 704-2378, Mobile: 0943-547-3609. 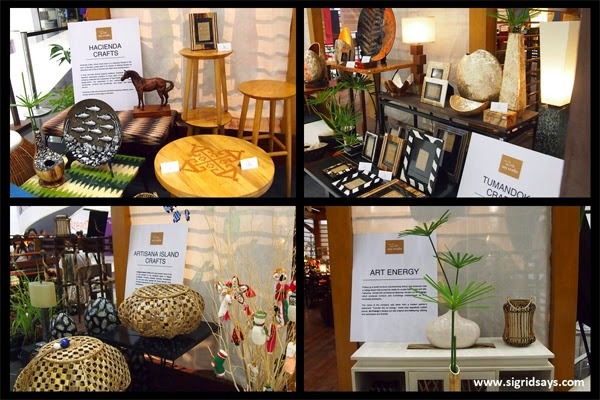 Bring home a piece of Ilonggo art through many of his products. If you don’t want to carry big items, they also have small masks as table decors and key chains. 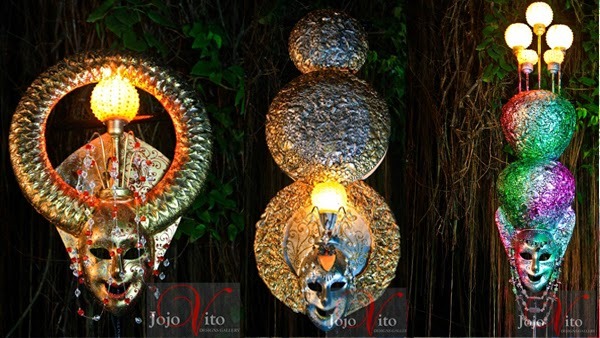 Lighted masks by Jojo Vito. Photo by Jojo Vito. Published with permission. Some of Jojo Vito’s designs. Photo by Jojo Vito. Published with permission. Azatri Souvenirs specializes on wearables and keepsakes, such as their artfully designed Bacolod shirts and key chains. 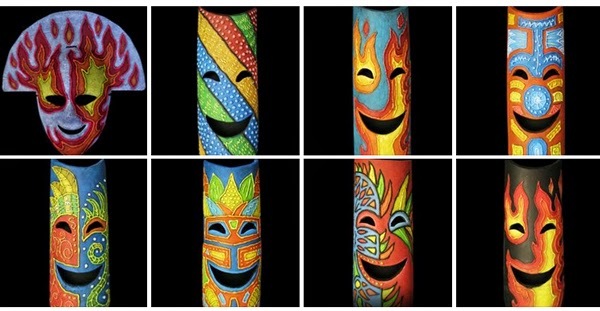 Now, they also have fiberglass masks that you can use to decorate your homes or shops. They don’t have a gallery yet but their products are available at most Bacolod pasalubong centers like Merzci, Bongbongs’s, Virgie’s, and the ANP Showroom. Azatri shirts worn by models. 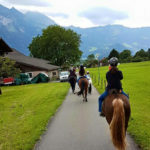 Photo from Azatri. Published with permission. Fiberglass masks by Azatri. Photos from Azatri. Published with permission. The Negros Showroom by the Association of Negros Producers is just that–the showroom of Negros producers here in Bacolod. They are selling anything from food items, to clothes, to home decor, to jewelry, to furniture, and many other things in between. Their main showroom is now located at the Robinsons City Walk, Lacson St., Mandalagan, Bacolod City. Some of the items that you can find at the Negros Showroom. 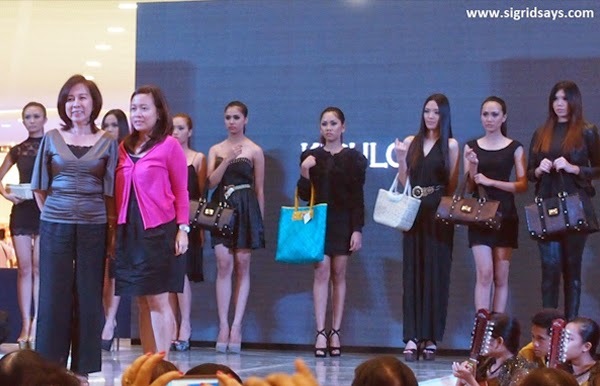 Native bags by Kiculo, available at the Negros Showroom. 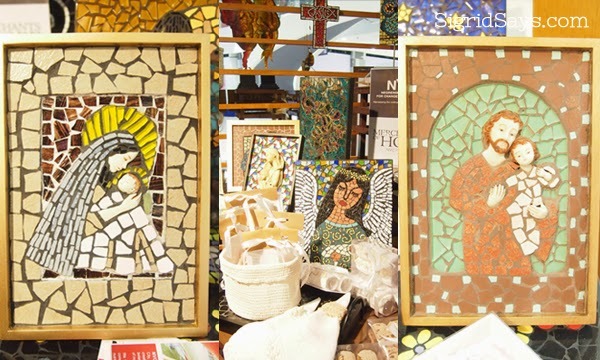 Mosaic frames and other decors by the Negrense Volunteers for Change, available at the Negros Showroom. 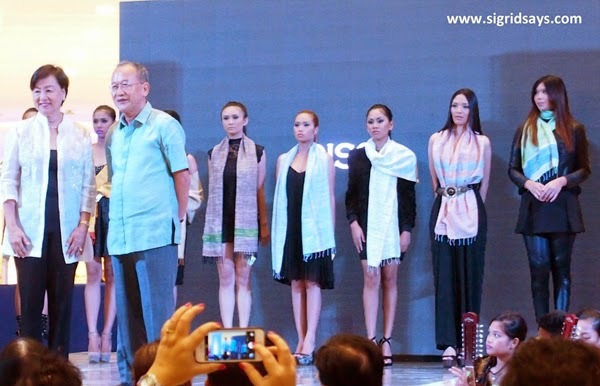 Scarves and other silk products by OISCA, available at the Negros Showroom at 9th-Lacson Sts. or at Robinsons Place. Assorted Sugarlandia products in gift boxes. Available at the Negros Showroom. Let’s face it. 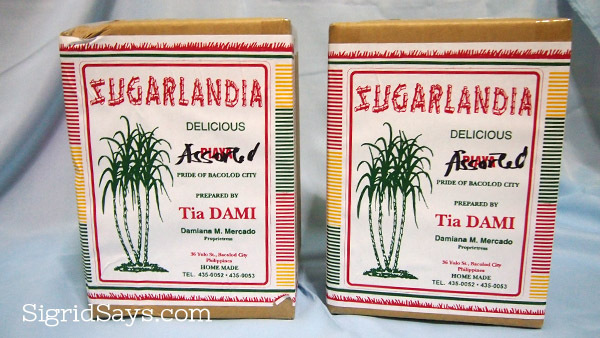 The top product of Negros is still sugar, after all we are sugarlandia. If you have friends from other places who are coffee drinkers, do consider gifting them with mascobado sugar from Bacolod made by Altertrade. They have individual sachets that are packed in boxes or the Masco Rocks that come in decorative bottles. These can be unique Bacolod pasalubong items. 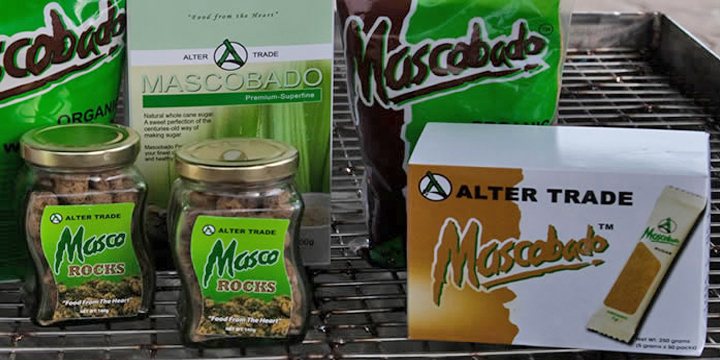 Alter Trade Mascobado products. Photo from their website. These are truly unique pasalubong items from Negros (as suggested by Dr. Dominic Alojado of Skyscraper City). These are available in most Bacolod pasalubong stores and at the Negros Showroom at 9th-Lacson Sts. or at Robinsons Place. Want something different? 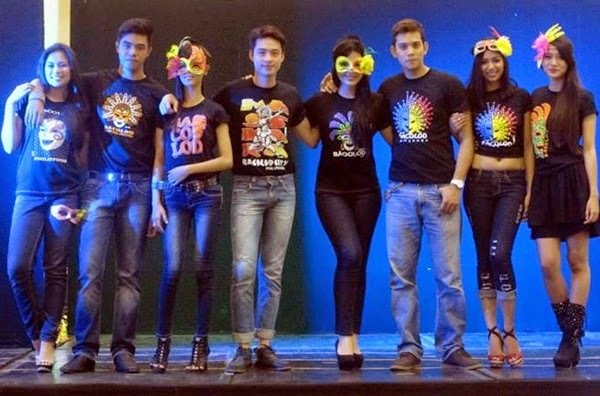 How about wearable Ilonggo wit as a Bacolod pasalubong? That’s what you get at Uba-Laba Ilonggowear. They feature Ilonggo message shirts with artwork, quotes, hashtags, or even invective that only the Ilonggo can relate to. Great gift items for family and friends in other places who miss the beauty of Ilonggo wit. Wear what’s on your mind with Uba-Laba Ilonggowear. To those who are naughty enough, you can use some of their “Freudian” designs as “sasko” to your foreigner friends who do not understand what they are wearing. hehe Yep, wear the Bacolod dialect proudly and give them as unique Bacolod pasalubong. Different sizes, materials, and colors are available. More message shirts in black, white, and in between. 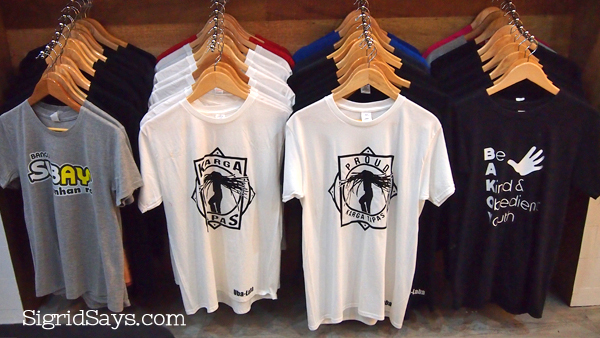 You may order Uba-Laba Ilonggowear online through their Facebook account, https://www.facebook.com/123sakasalubi. You may also browse through their selections at their new store at the 2nd Level, The District North Point (Ayala), Talisay, Metro Bacolod and at the Bridgeway of SM City Bacolod. 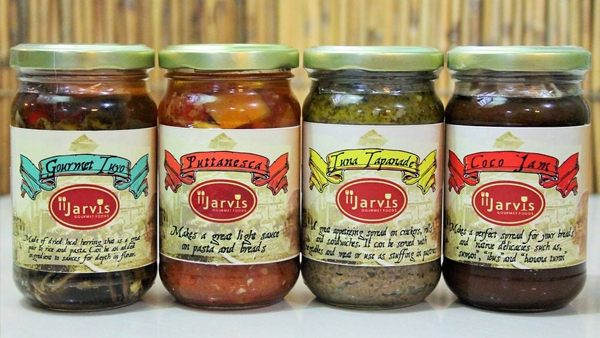 Jarvis Gourmet Foods has leveled up Ilonggo favorites in Bacolod, especially in taste and presentation. 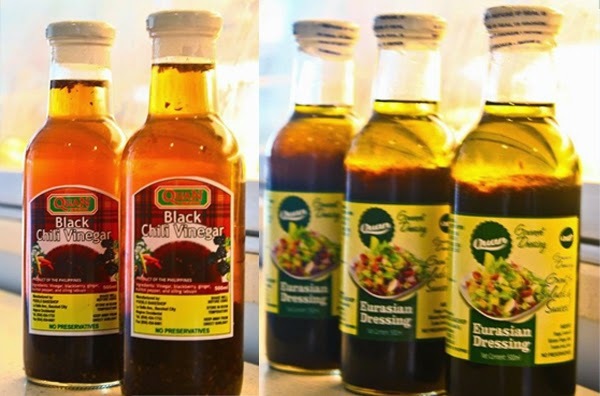 Bring home these beautifully bottled sauces to your loved ones as unique Bacolod pasalubong. Available in Pesto Sauce, Tuna Tapenade, Puttanesca Sauce, and Gourmet Tuyo. Great gifts, too. They also have halaya ube on occasion, special baked ensaymada, organic spreads, and for Christmas, they have fruitcakes that contain muscovado sugar and organic eggs. Bottled sauces from Jarvis Gourmet Foods. Photo by Tata Jarvis. 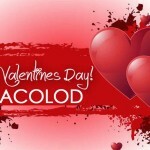 Find Bacolod on the map. Find Negros Occidental on the map. Thank you for this post. This is a very good guide for tourists visiting the city. Great post! I will definitely try Bailon next time. The empanadas look amazing! Doesn’t the Calea and other cake treats count as pasalubong? Jist observed that sometimes they bring this home as pasalubong. What a fun tour around your area. Such wonderful sweets and gourmet foods that one can bring home as Bacolod pasalubong. The empanadas look divine. Love this good guide on Bacolod pasalubong! Would love to try those delicious treats. Looks like you enjoyed your time there. haha I live here in Bacolod City! 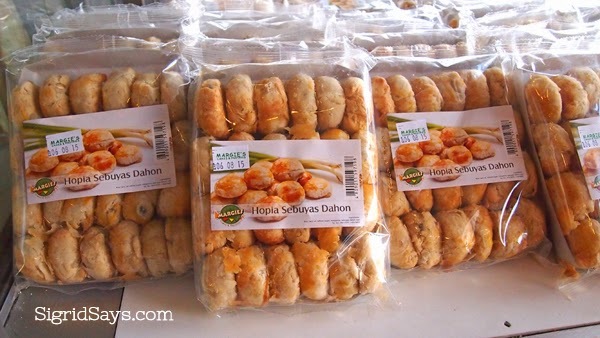 This is a great blog post on Bacolod pasalubong. It will be very helpful to anyone who is looking to visit Bacolod City and wants some inspiration on places to go and things to see, as well as gifts to buy to bring back home. I love the idea of gift giving after traveling being part of the culture and language. The foods look amazing, and I’m sure I’d love the baked treats. I’m curious about the rice products too, mixed with coconut milk and brown sugar, how could that NOT be delicious?! Bacolod pasalubong products seem awesome! I hadn’t heard about travelers bringing gifts back home, this is a really awesome and educational blog post on Bacolod pasalubong! I am happy to have read it. Really? When you travel, you don’t bring back gifts to your friends and family? hihi It’s kind of a tradition here among us in the Philippines. Never heard of this! I love exotic foods though. Would love to try some of these Bacolod pasalubong someday. 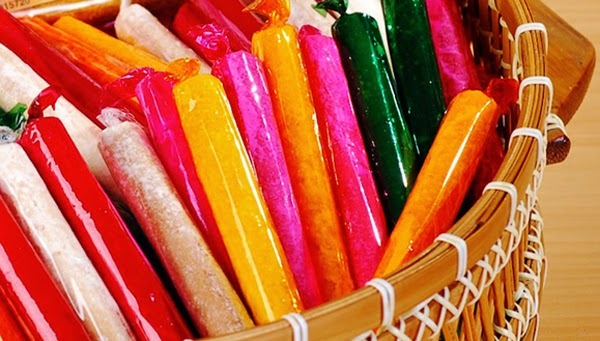 Wow these sweet treats or Bacolod “pasalubongs” look so delicious! Would want to try to Napoleones. This was very interesting. I love learning about different cultures and traditions. I would love to experience the Bacolod pasalubong food and shops one day! Must say you love your city!!! 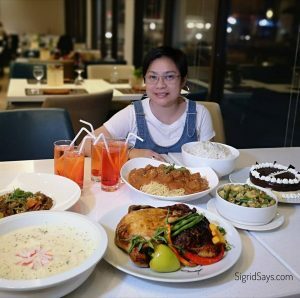 Bacolod City looks like amazing for food lovers.. Everything you added in this post is a marvelous experience to look around in Bacolod City. Your article gives a every tiny bit details about Bacolod City. And of course, where to buy Bacolod pasalubong! Hello, Sigrid. Nice to meet you here. I have not yet been to Bacolod butvI would like to go. I read a lot of good things written about Bacolod. 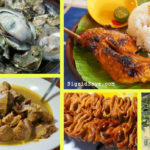 This post on Bacolod pasalubong got me excited because my wife and I also love trying out local food. Those are all awesome treats to take home to your family after a trip! I’m sure they’re going to love it. Thanks for sharing what you can buy there! Food and pastries are always go-to souvenirs to bring back in my opinion (they’re yummy and they won’t sit in the back of someone’s closet collecting dust). Piaya reminds me of the Korean hotteok pastry that is found as street food in the winter. Yummmmm! I haven’t heard about most of the food that you have mentioned except empanadas but everything looks so yum! I’d love to try each one of these delicacies! Those are pretty awesome treats to bring home to your family so they can have a taste of what you enjoyed during your trip! Im a foodie .. your post gave me some major cravings and i never actually tasted any of it. Bacolod pasalubong are awesome! Need to visit Philippines now. Mmmmmm that looks absolutely delicious, ALL OF IT! 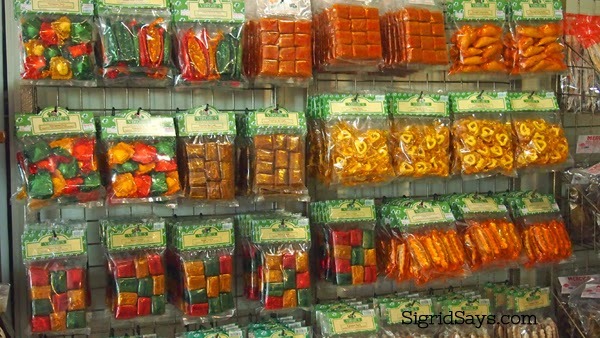 I’d like to head there right now and get some of these yummy Bacolod pasalubong! I love sugar cane it’s so delicious we have this in Jamaica 🇯🇲 and it’s so yummy to eat when I go over there i love it. I wonder how these Bacolod pasalubong tastes like. They look so good! We love to give out Musco Rocks as Bacolod pasalubong. It’s unique, not available elsewhere and affordable. My family in Davao was so thrilled to have one. When travelling, it always amazes us how we get to see so many similarities in different parts of the world. 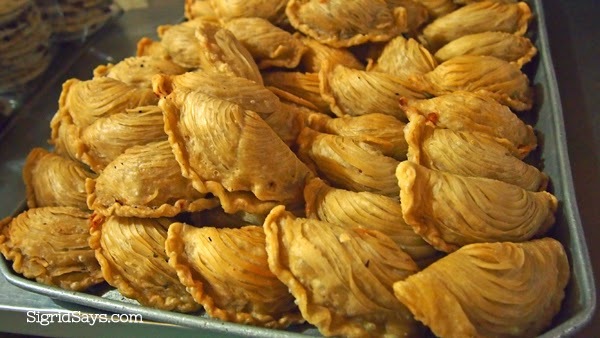 Bailon’s piaya reminds me of Indian Gud roti made of jaggery and empanada looks quite similar to Indian Ghujia. We would love to visit Bacolod – “The City of Smiles” to taste these yummy delicacies called Bacolod pasalubong. Woah these treats all look so amazing! Especially those Merzci chicken siopaos and Bailon’s Foods empanadas! Thanks for sharing these wonderful Bacolod pasalubong products. Bacolod pasalubong is a great place especially to shop. You always write a detail list of what to buy and this gives us an easy understanding of that particular place. We now know the things and its just too chill out time to explore that place. We’ve been to Bacolod several times on a motorcycle with my partner. That was before we had our son. It’s like Bacolod is a favorite place to visit. 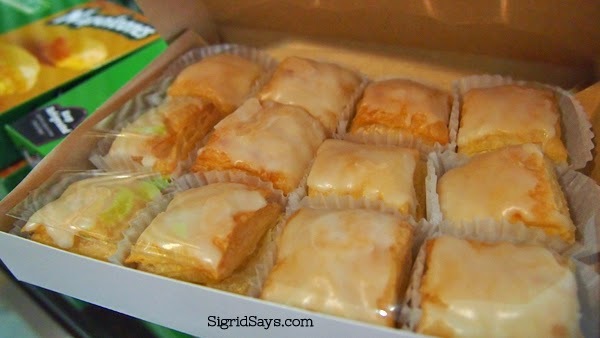 And there’s no doubt, piyaya is a favorite of many, but I’ve always loved the butterscotch…. Now am craving for some Bacolod pasalubong. The sweets look delicious! We have a manga tree in our yard here in South Florida and they make the best smoothies. Having been to The Philippines many times, i recognise quite a few of the items here you listed here as Bacolod pasalubong. 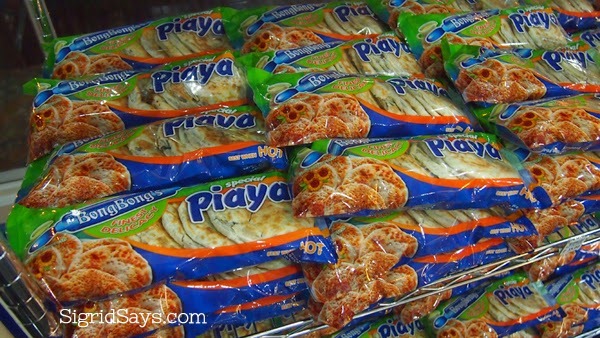 I love piaya with its and used to love dipping it in my coffee! What an informative post about Bacolod pasalubong. A good guide for anyone visiting Bacolod city. I may visit one day. All of that food looks so amazing! I definitely need to try and visit Bacolod and pick up Bacolod pasalubong. There is so much amazing food out there. I have never heard of this place before. But should I get to Bacolod City, I will have to try out some of these amazing Bacolod pasalubong foods there. I am craving for something sweet now 🙂 This is a very good list of things that you can buy and bring home as presents, some of these Bacolod pasalubong foods I see for the first time though, but I want to try them all when I visit Bacolod City! These names like Bacolod, pasalubong made me laugh a bit because I have never heard about. You are giving such a great guide.